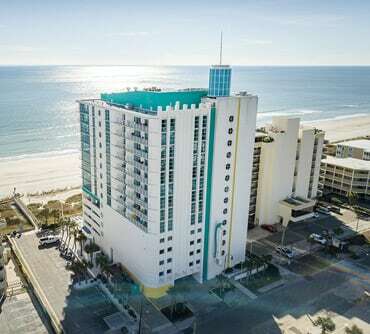 Six stunning oceanfront resorts, located along the sun-splashed sands of Myrtle Beach, designed for families, couples or groups seeking affordable accommodations with exceptional service. Experience a level of hospitality you won't find anywhere else, where a dedication to exceeding our guests' expectations is a hallmark of every visit. The choices for fun and relaxation are endless. Our properties are located just minutes from the best golf courses on Myrtle Beach, plus we offer an array of creative packages that make it even easier to add 18 holes to your vacation plans. Fantastic shopping, exciting fishing tours and elegant fine dining await just steps from our Myrtle Beach resorts. Plan a day filled with exciting activities or relax on the beach and do nothing at all. Inspire your colleagues with a corporate meeting at one of our spacious event facilities or gather your relatives for a reunion in paradise at any one of our hotels. We look forward to having you stay in one of our resorts and know you will enjoy your next Myrtle Beach Seaside Resort Vacation! Myrtle Beach Seaside Resorts...Thank You!